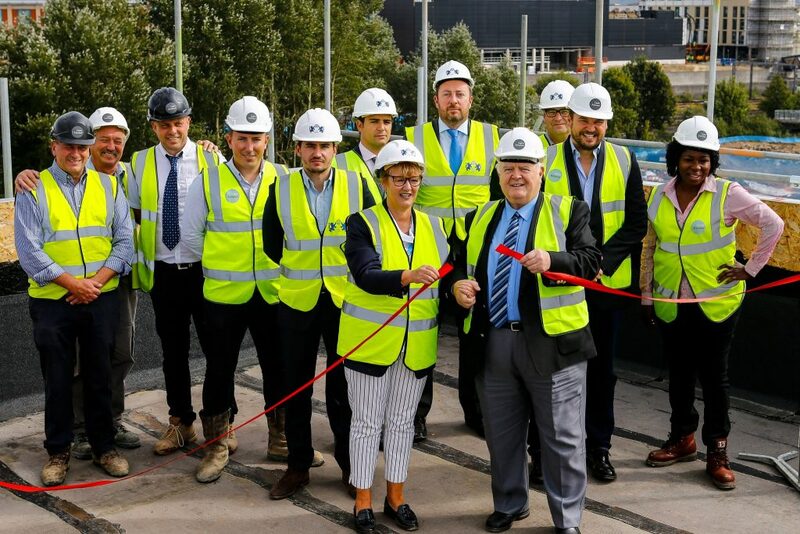 GRE Assets’ multi-million pound Riverside Park development in Ashford, Kent, reached a major milestone in September with its ‘topping out’ ceremony. The 246 apartment and 26 riverside townhouses located next to the Great River Stour will form a stunning new residential location in this booming town. With the first phase of Riverside Park due to complete in Q1 2019, the development will add much needed space close to Ashford International rail station (38 minutes to Central London, under two hours to Paris or Brussels). Commuters seeking excellent connections, students attending the newly opened £26 million Ashford College and families attracted by the nearby Victoria Park and Watercress Fields make the development an exceptional location. Michael El-Kassir, Managing Director, GRE Assets, said: “We are delighted to be delivering onsite at Riverside Park – especially on a previous brownfield site, that will now provide exceptional apartments and townhouses to complement the ambitious transformation of Ashford. Cllr Gerry Clarkson said: “Riverside Park is the latest in a long line of exciting and inspirational town centre projects which together are transforming both the skyline and the fortunes of the Ashford borough. I am hugely impressed with the quality and design of the development which, like other major schemes currently underway in the area such as the Elwick Place cinema and leisure complex, makes best use of a brownfield site.